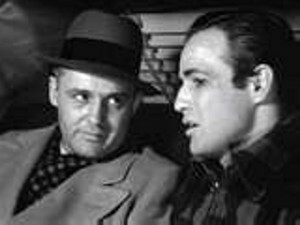 “I could have been a contender!” Remember that famous movie line spoken by Marlin Brando in “On The Waterfront” during a rather poignant scene with Rod Steiger? Brando plays the part of a washed-up boxer, the younger brother of Steiger, who is mixed up with a crooked union boss, Lee J. Cobb. Brando’s character is lamenting what could have been had he not taken a dive in a fight to make money for Steiger’s boss. He is haunted by the bad decision, allowing himself to sell-out rather than stand up for himself and be a legitimate fighter. Life brings us so many forks in the road. Do I take the money and throw a fight, or do I do what I have been trained to do and compete? That pivotal moment in the life of Brando’s character sums it up, as he utters that iconic line. Had his brother not asked him to be in on the fix, had he been left alone to just be a boxer and not be connected to the greed and corruption of evil men, had he just told them no, things might have been different. It was a fateful decision and it led to a promising young fighter being a bum. Is there ever a fateful moment in the life of an addict? It would be very easy to say it’s the time when they take their first drink, or their first hit. Brando’s fighter made a choice to “help” his brother, so out of family loyalty he went against his own principles and even before the fight took place, the die was cast. Was it more than just family relationship? What else was going through that young man’s mind to make him acquiesce to such a life-changing request? Athletes who throw fights, or matches, or games are bums. “Shoeless” Joe Jackson, one of baseball’s all-time greats, is not in the Hall-of-Fame because he tanks a World Series game. Pete Rose isn’t there because he bet on baseball while the manager of the Cincinnati Reds. Fateful decisions. Far removed from the spotlight and quietly away from the concern of those who care, people make the decision to take that first drink or try drugs. That is seemingly the beginning of a treacherous path, one that can lead to a lifetime of misery and disappointment, or ultimately to an untimely death. There are reasons a plenty for why this happens, but anyone who thinks it through would be hard-pressed to justify taking the first step on this path, as the hazards are so well documented. But it happens. I suppose in the moment it looks like a good idea. We always think we know more than we do, and anyone who disagrees is just not enlightened. We can rationalize anything, even “death by the installment plan,” as author and counselor Joe Herzanek would say. The addict doesn’t have the problem, it’s everybody else. We are always in control and we know what we’re doing, so don’t worry. This is a kind of game that goes on and on until the addict decides that he/she has had enough. Their decision to take a step this way or that way led to dire consequences. Some are able to have that moment when they realize they could have been a contender but sadly that is often after years of neglect and abuse, as personal relationships lay in the rubble. Still, for those who face the decisions they have made, regardless of any outside pressure, there is redemption and hope. There is opportunity to be that contender and face the world with a new spirit and a new outlook. 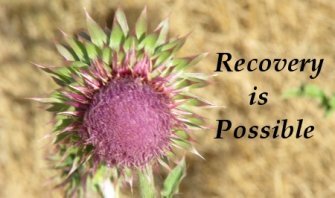 Symptoms are OFTEN ignored, especially with alcohol addiction! People go down this path of addiction, seemingly alone, but in so many cases those who care just don’t do anything about it. We enable the behavior and become a part of the addiction. Family and friends are too often part of the problem, unwilling to stand up or follow the counsel and advice of professionals. They “love” the addict too much. They love the would-be contender by letting him become a bum. It’s easier. After all, it’s his problem isn’t it? We become numb to the pain, as the one we care about is numbing the pain. Maybe we just don’t want to risk not being loved, or losing the relationship. Steiger’s character had problems of his own, so he used his brother as a means to an end. He had his own addiction, the need to be around money and power. Brando’s character was a “ham and egger” who realized one day that there was more. The ex-fighter, the bum, the nobody stood up at the end of the film and fought Lee J. Cobb’s portrayal of evil and overcame long odds to win the day. There was redemption, respect. He was more than a contender, he was a winner. Whatever the turning point is in anyone’s life, and no matter how long they have been walking the path to death, there is hope. With the support of a local priest and the girl he loved, the bum turned things around. A decision got him into the mess he was in and the life of ruin and disappointment, but it was another decision that turned things around and got him back on the right path, heading in the right direction. Sometimes the odds are pretty long, but there is always hope. That “power greater than ourselves,” or “God, as we understood him,” is there for the asking, at no charge. It can and does happen.